Part of the fun of cooking is discovering what fruits and vegetables are in season and focusing on seasonal produce while it is available and in its best form. Although today we can get almost all produce all of the time, fruits and veggies are best when they are local and in season. 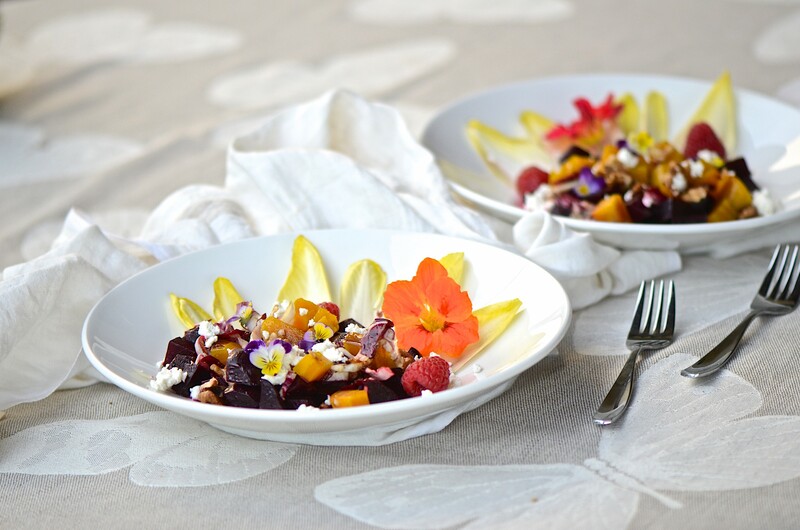 One of the summer pleasure are beets in all their varieties. 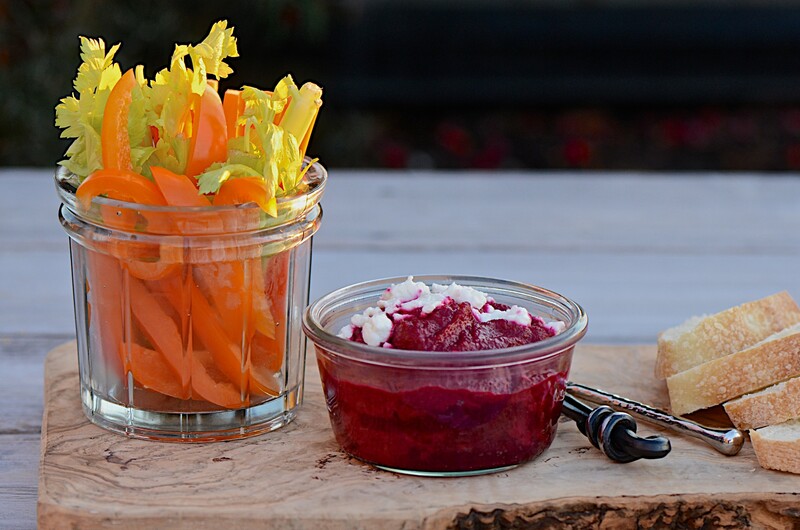 Lusciously red and golden or playfully candy striped beets are available during the summer months and into early fall and I look with anticipation to their appearance at the markets. Their shape varies from medium or large round bulbs to long cylinders or small nuggets. Try and buy the beets with the greens still attached. 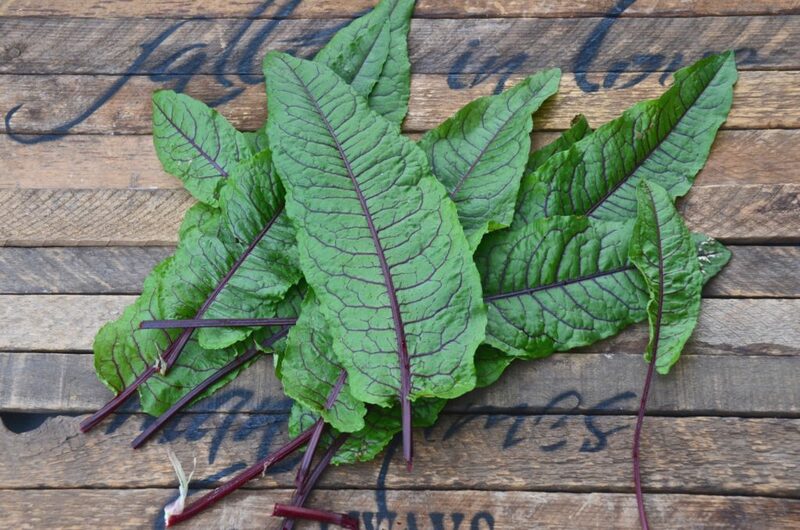 Not only is it an indication of freshness but beet greens are good cooked just like Swiss chard, which incidentally belong to the same family of plants. When buying beets I tend to choose the smaller ones as they seem to be more tender but larger ones would work well for pickling and soups. 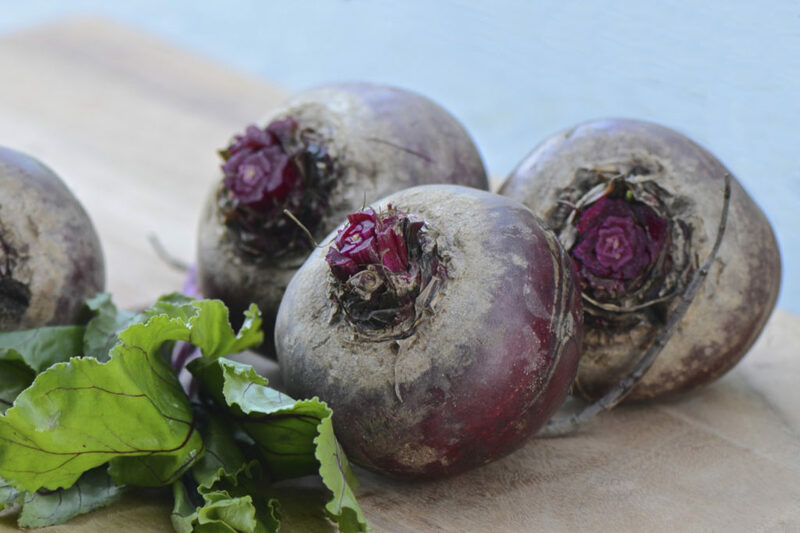 Younger beets cook quickly steamed, in boiling water or roasted in the oven. 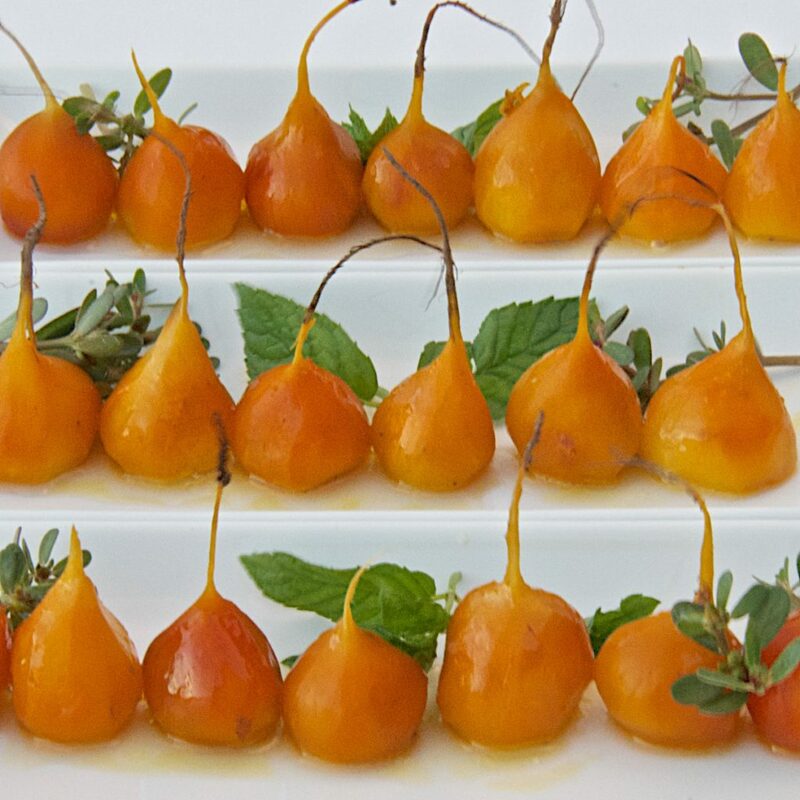 Roasting brings out the natural sweetness of the beets by slowly caramelizing their sugars. Once cooked you remove their skin and for that task I suggest wearing thin kitchen gloves to prevent their colour from staining your hands. Peel the beets while they are still warm: make a small incision or cut a small piece from one or both ends and simply slip off the skin to expose the flesh. It should come out in one piece. Beets are good eaten raw as well. Grate beets into salads or use to garnish soups. Beautiful post, Dina! I’ve been growing small cilandar beets and eating them constantly. The yellow ones look amazing! I should try growing them next year. Love your awesome photos, as always! Thanks Colleen, this was a “recycled” post for my what’s in season feature. I cooked beets in a pressure cooker the other day. Took minutes. Still, prefer them roasted. Thanks for the kind words on the images.